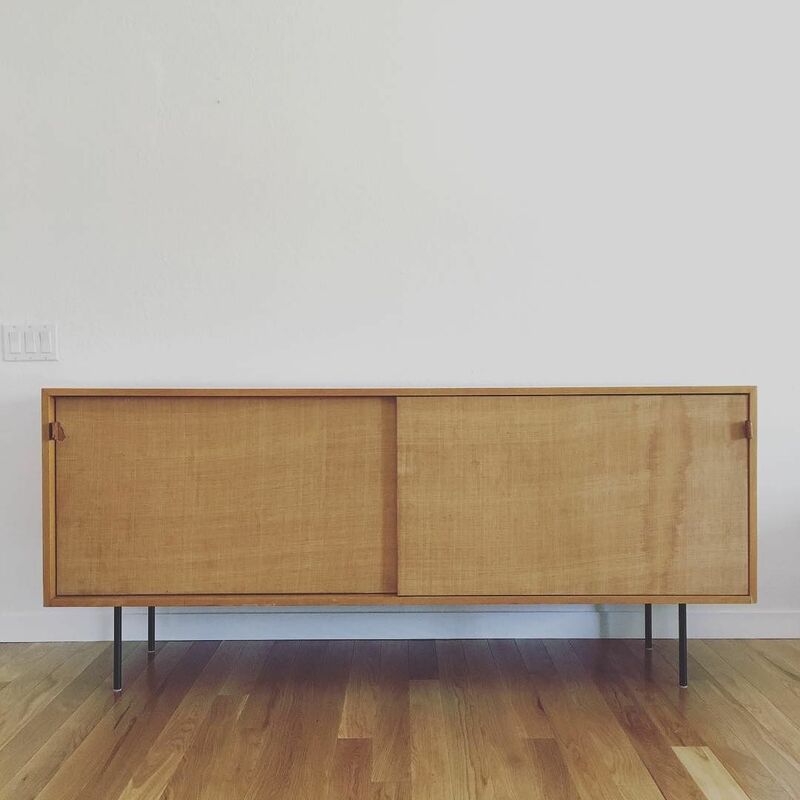 Decades before the arrival of the flat panel TV, Florence Knoll had designed the 116 credenza…simple case, sliding panel doors, leather pulls, interior drawer and shelves set on iron legs. As you would expect over the last 70 years it’s minimal style genius was put to great use in living rooms, dining rooms and offices alike. Today, I can’t help thinking that Florence must have had a premonition that the 116 would be a great perch for today’s flat screen. And, it would if you were able to get your hands on one. Hey Santa, a little help please? I’ve got just the spot. 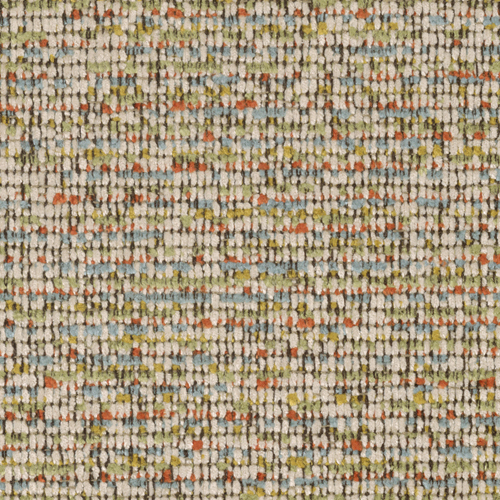 Continuing the celebration of Florence Knoll’s 100th year, let’s focus on some new additions to her 1954 Lounge Group. 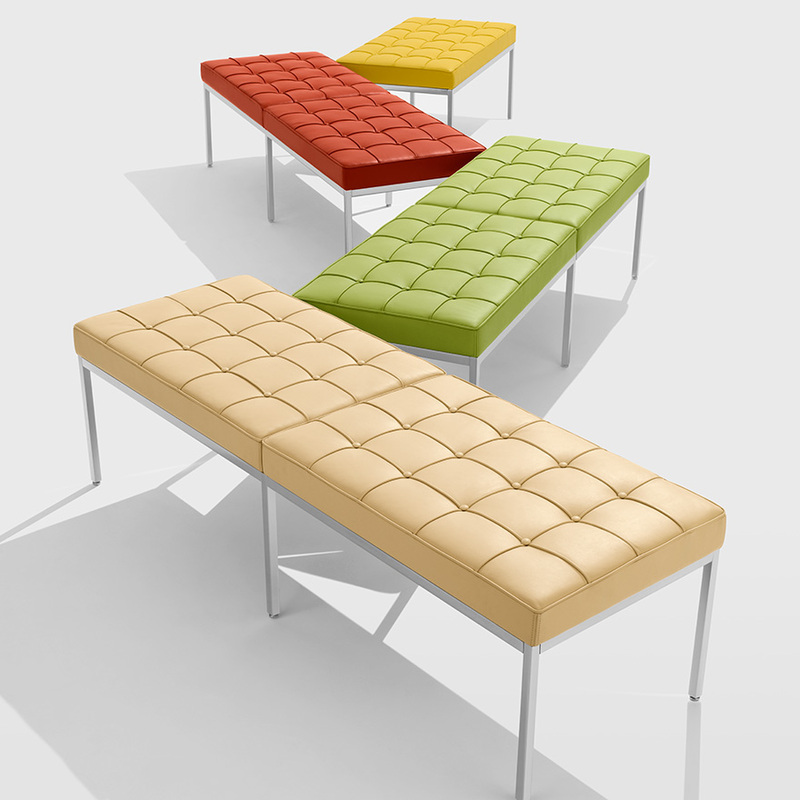 What she originally considered a “fill in” piece, the Florence Knoll Bench has been impressively resized, elevating it to a “statement” piece. 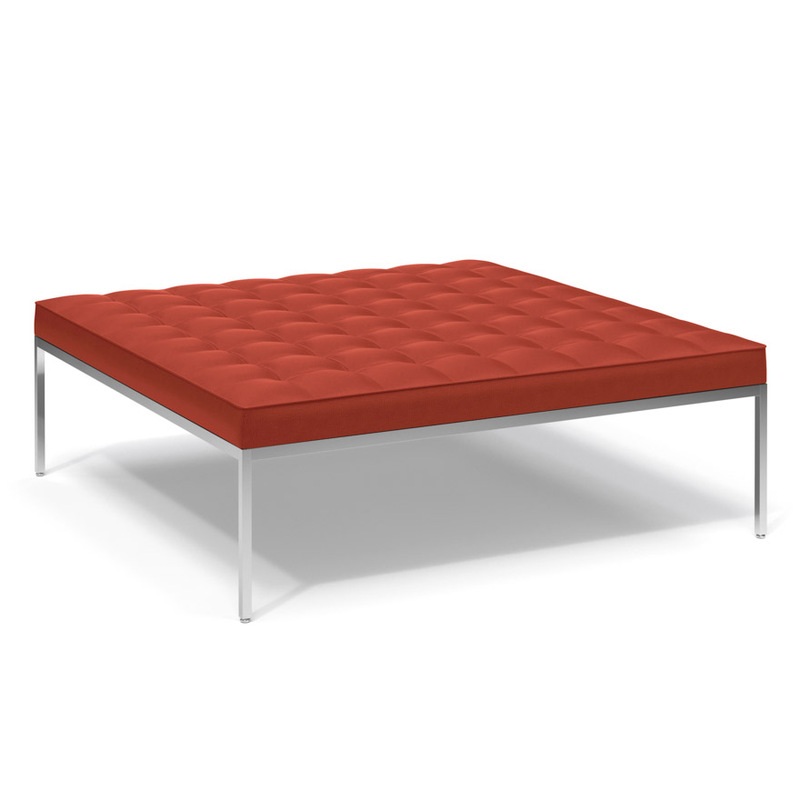 Whether you select the small, medium or large, and put it to use as a bench, ottoman or coffee table, the clean geometric profile of this modern classic is available in a dizzying selection of approve Knoll textiles and leathers. Wow! 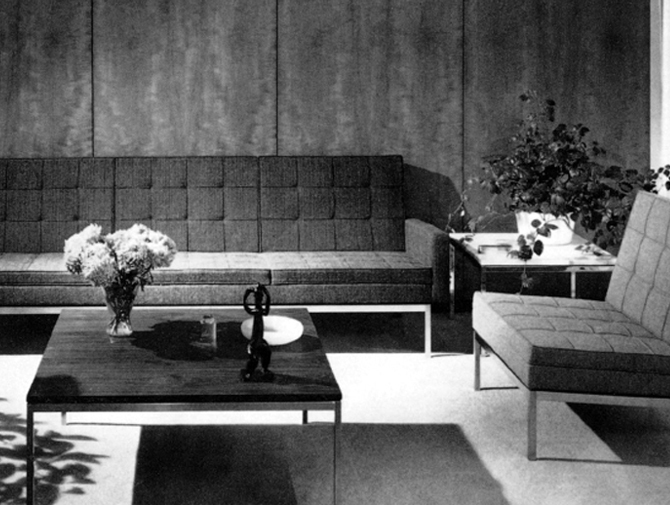 As we continue to celebrate Florence Knoll let’s take a look at a piece that she simply referred to as a ” fill in”. 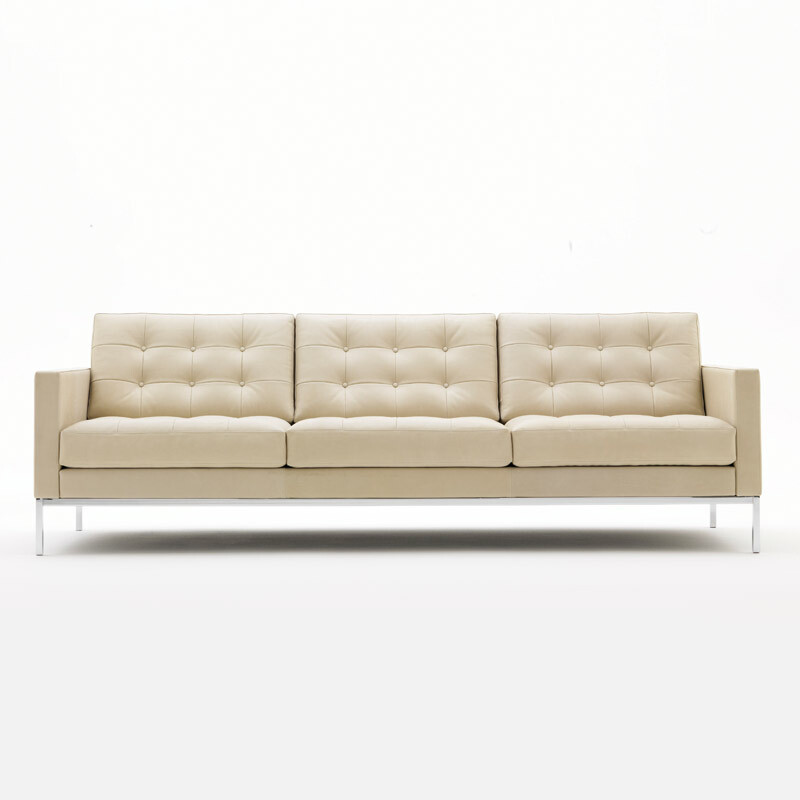 The influence of her mentor, Mies van der Rohe, is evident in its spare geometric profile. Still Florence made it her own, blending it seamlessly into the rest of her furniture collection. 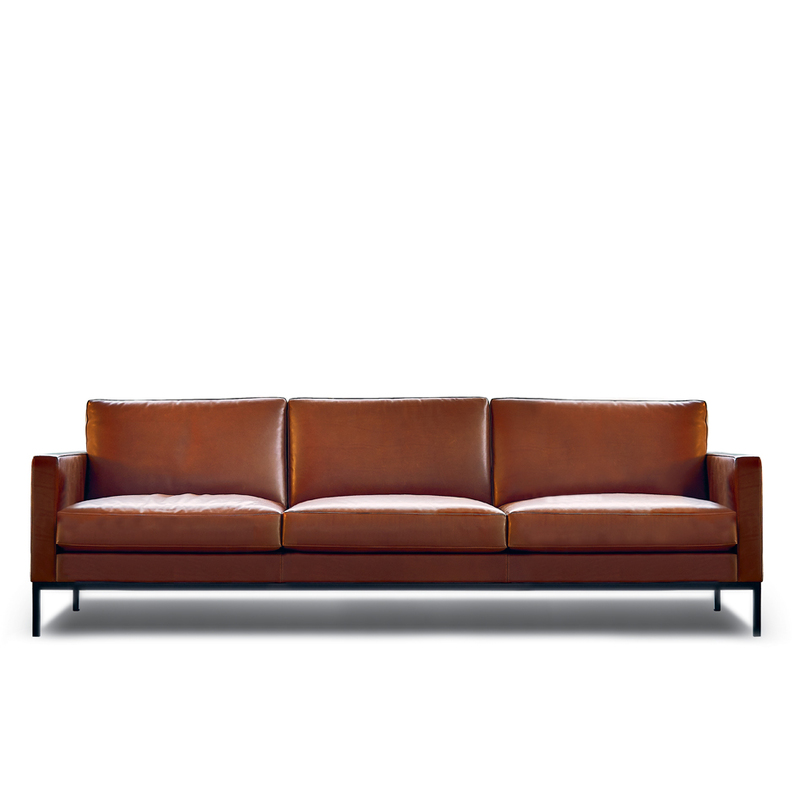 Originally designed in 1954 the Florence Knoll Bench is available in a 2 or 3 seat version upholstered in leather or any of the approved Knoll Textiles. 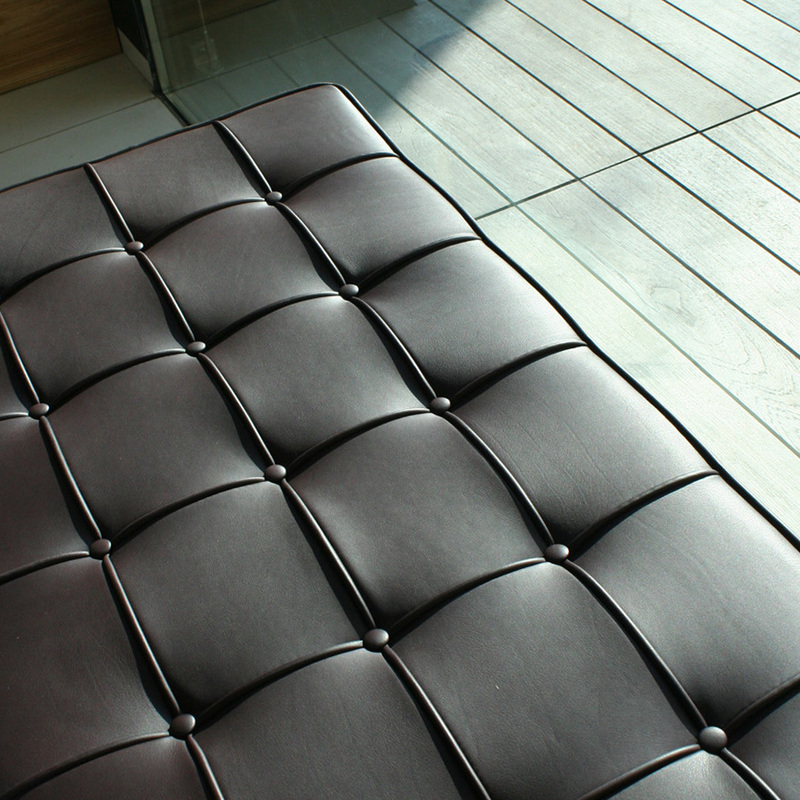 Suitable for any situation where a little extra place to sit is needed… in an entry, at the foot of the bed, even as a cocktail table alternative… this bench was designed to ” fill in” beautifully. And, what a table! In any configuration. 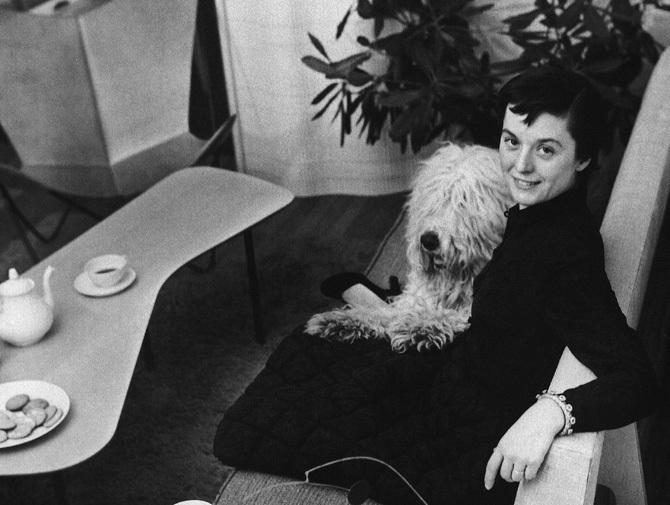 As we are about to celebrate Thanksgiving let’s also continue to celebrate the design genius of Florence Knoll. 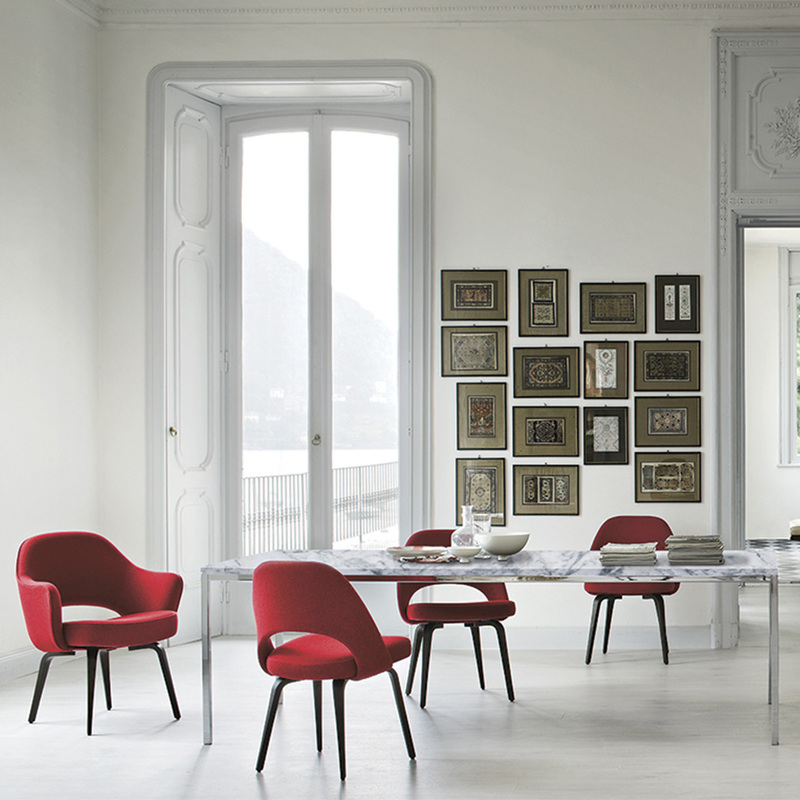 Specifically the dining table group designed in 1961. 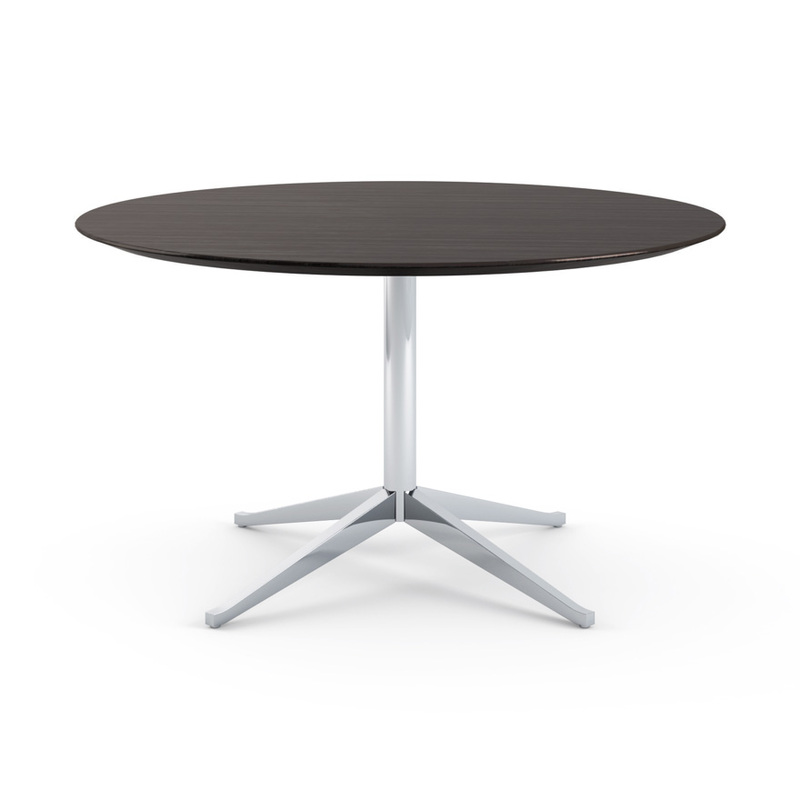 Simple and elegant in proportion, these tables include shapes, sizes and finishes to perfectly anchor any space and satisfy every taste. 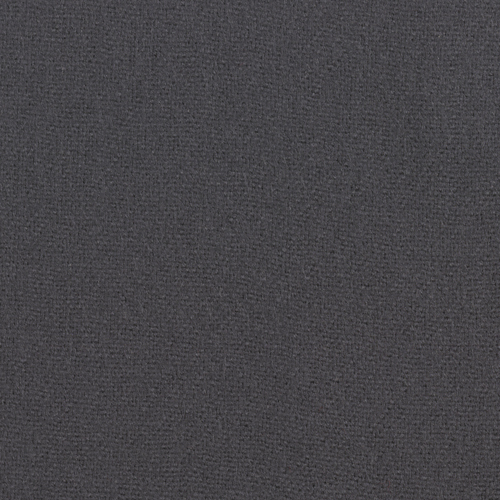 Round, square, rectangular or oval…surfaces in laminate, wood or stone, sizing to seat four to ten…the options seem endless. What Thanksgiving feast wouldn’t look even better on any one of them? 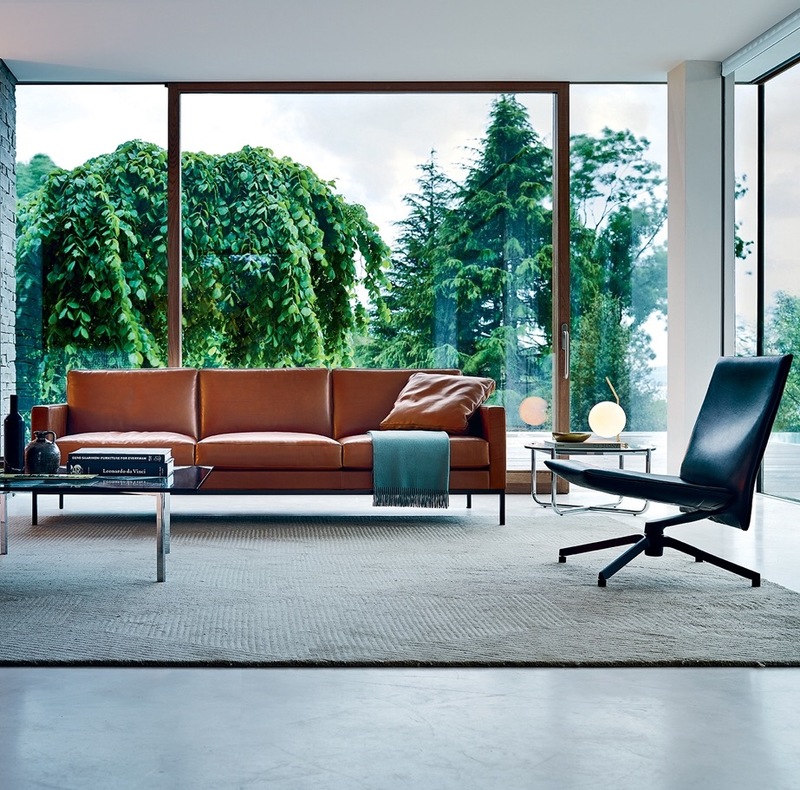 As the celebration of the 100th birthday of Florence Knoll continues, let’s explore the new Relax group that Knoll has introduced in Honor of her 100th year. 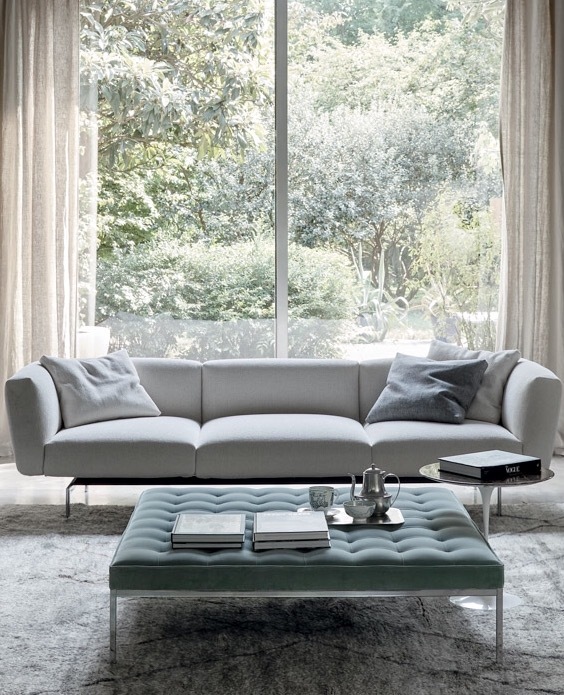 Based on her classic three seat sofa released in 1954, this new seating features a deeper seat and a more relaxed sit…with four legs rather than the six found on the original Florence Knoll sofa. 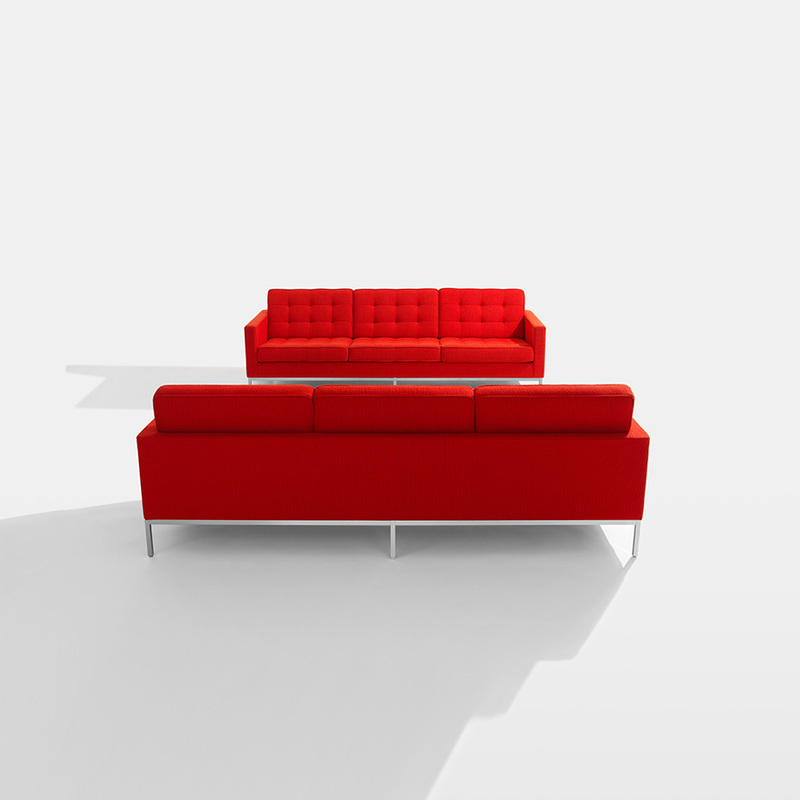 Like the original group, the new Relax collection offers a two seat sofa and lounge chair, all available in approved Knoll textiles and Spinneybeck Leather. 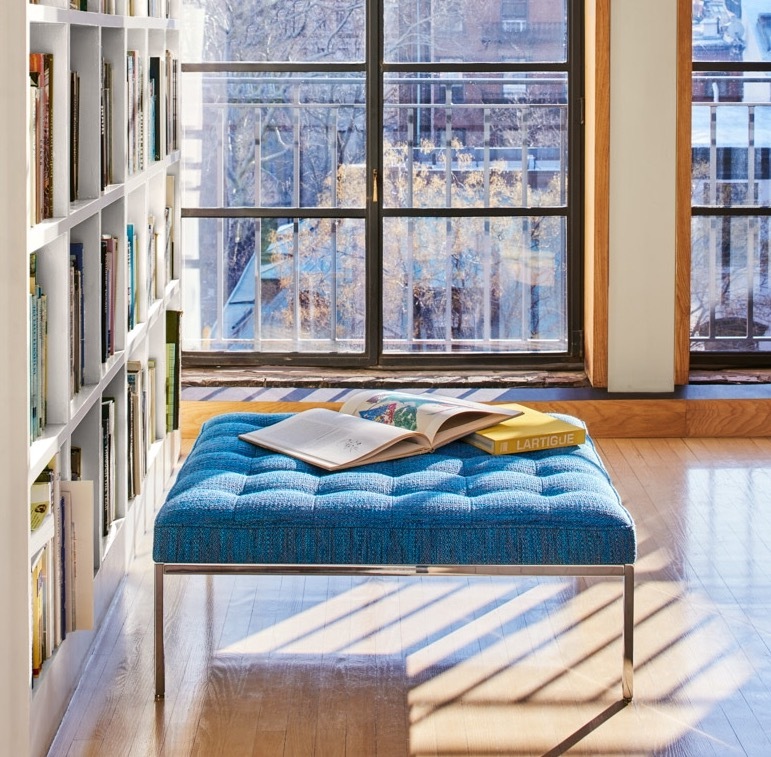 While the original three seater has always been my hands down favorite, I can’t help thinking this new take on the classic might just be the perfect spot to indulge in a little Netflix ” bingeing” this Winter. Like so many May flowers, sale signs are popping up everywhere now that it’s Spring. Yard sales, garage sales, rummage sales….you name it. My advice? Follow your gut. If you have an inclination to stop…stop. 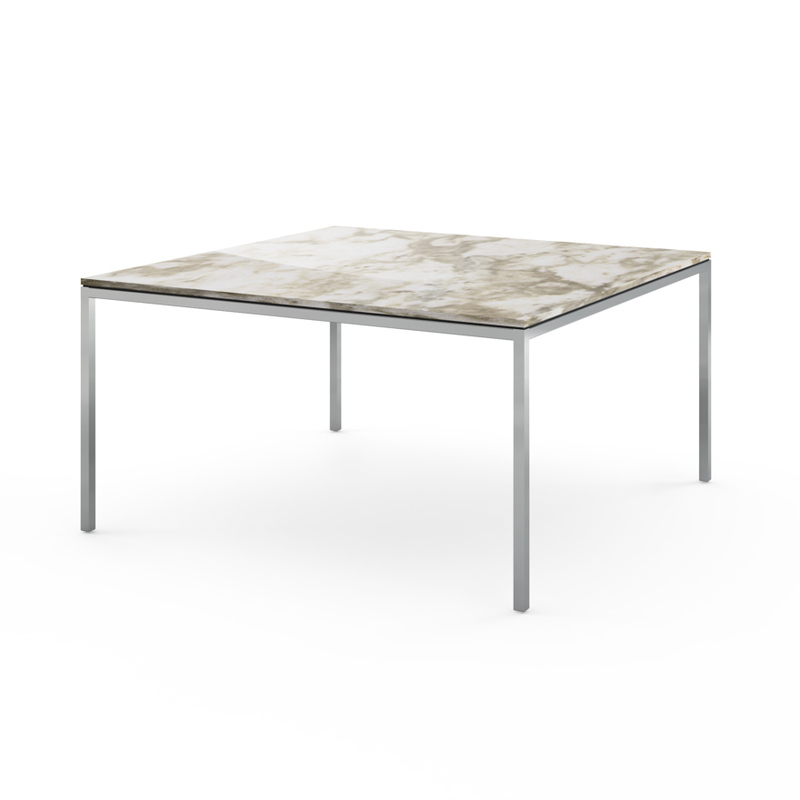 You might just come across a find like this early Florence Knoll table. The base is solid stainless bar stock and the top, walnut. While the surface had a large chunk taken out of the edge, for an initial investment of under $20 it was worth having a new top fabricated. That’s right, under $20. Boom. What a fitting tribute. 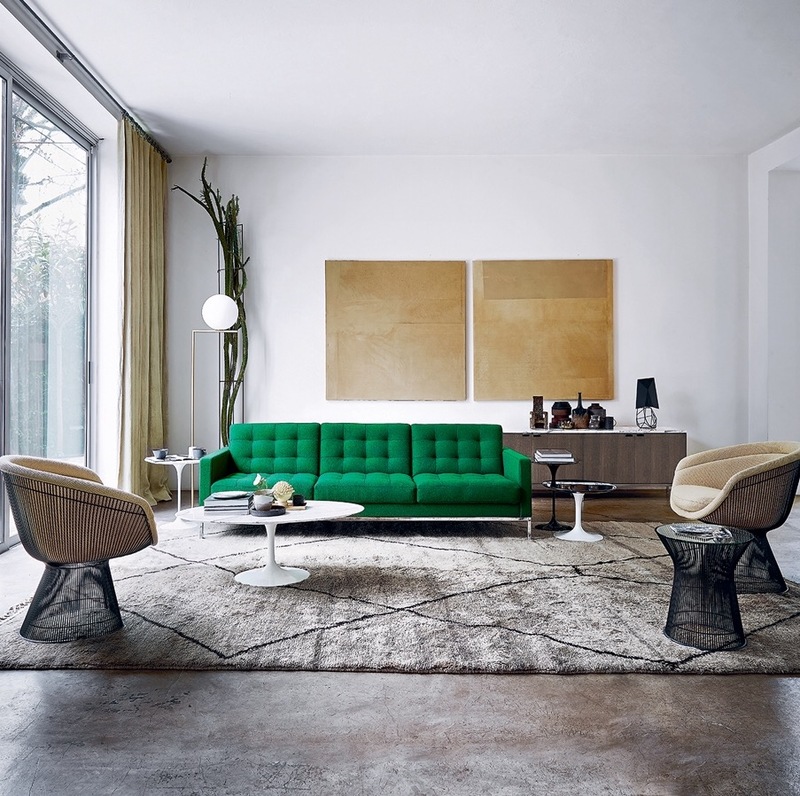 In celebration of Florence Knoll’s 100th Year, Knoll has reissued several classic pieces by one of my favorite icons of mid-century furniture design. The simplicity of her designs had me hooked from the start. I’ve collected so many vintage Florence Knoll pieces that friends would joke that I owned more Florence Knoll than Florence herself. 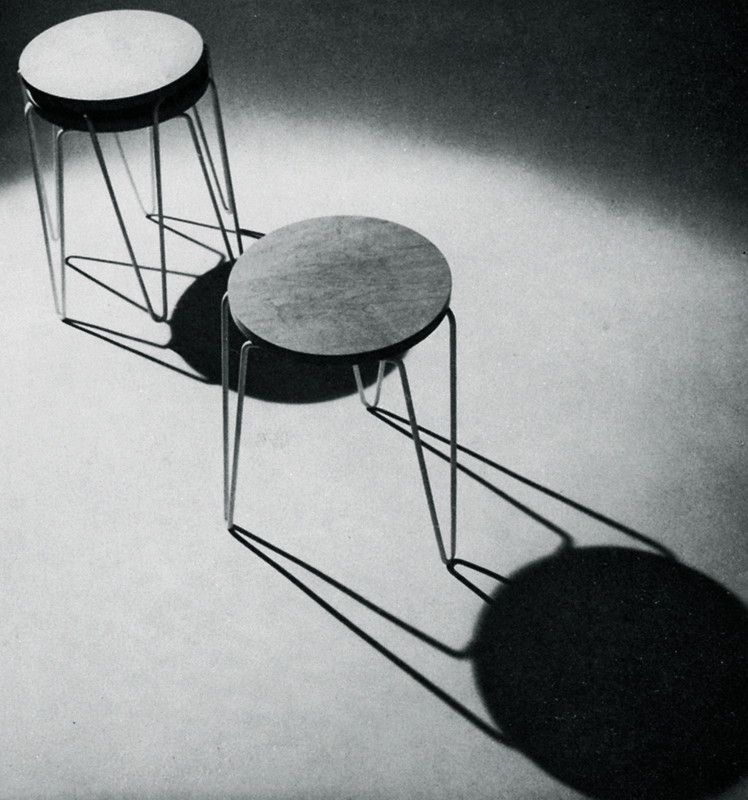 One piece that eluded me was this small table originally released in 1948. 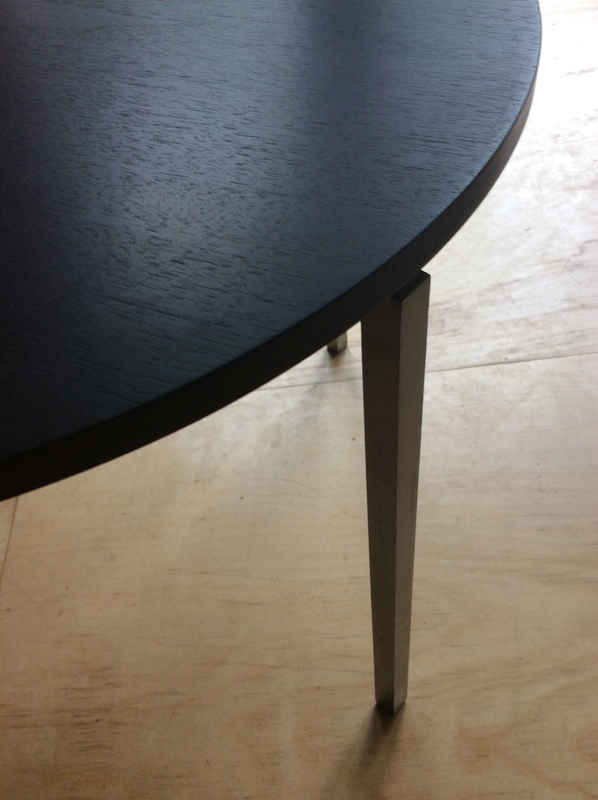 A simple round top on steel hairpin legs… a design that set into motion a wave of knockoffs that continues to this day…The Hairpin Stacking Table.